Here we are with the first edition of 2008 of Whispers - the newsletter of your favourite nature site on the web - the Dereila Nature Cyber Inn. We send warm greetings for a happy 2008 to everyone, everywhere. We would like to thank you for subscribing to our newsletter and being part of our project. Your ideas, feedback and contributions are all very much appreciated. As we start to celebrate our first anniversary of being online, we have lots of great ideas for the coming year. In this newsletter you'll find a few new monthly features that we hope you'll enjoy including some nature trivia and handy tips to enhance your experiences with the natural world. Which insect has been chosen by the most states to be the official insect? You'll find the answer later on in the newsletter. It's very easy to make a simple, natural looking suet feeder. Take a log and drill five or six holes about 1 inch wide, drilling from different sides. Drill them as deep as possible without going right through the log. This allows small birds to reach the suet mix that can be pushed into each hole. Woodpeckers also are able to get to the food with their longer beaks and tongues. Secure a wire to the top and hang it from the eaves of the house near a window for viewing. Small birds quickly find this and after a while you might even could get some great woodpecker sightings. 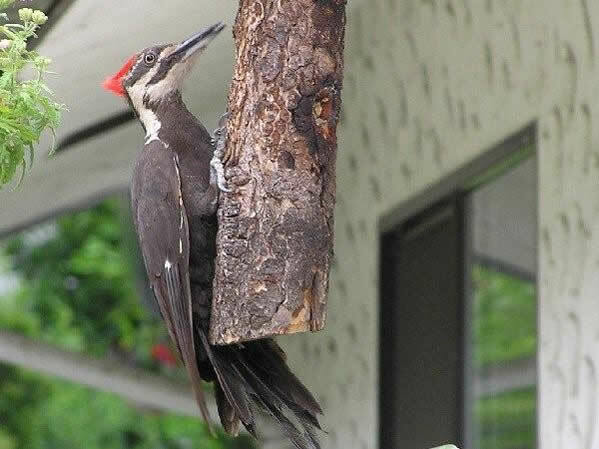 A Pileated Woodpecker enjoys feasting on suet in the log feeder. We welcome your nature tips and ideas! Just send us an e-mail. 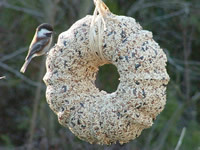 For a great suet home-made suet recipe - click here. It's been a busy time the the Inn and we have lots of new features for you to enjoy. Just click on the images below to visit the pages. New flash jigsaws for you to do. Start off with some interesting, but challenging, jigsaw puzzles featuring a variety of insects. Jigsaw lovers will also enjoy our expanded page featuring mammals. 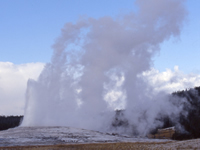 We now have a total of ten special places in the natural world for you to explore. Make an amazing and simple birdseed wreath. As our project gets bigger and bigger it seems that a site map is in order to give everyone a straight-forward overview of the pages and features at the Inn. You'll find the map by clicking here. When we started the Dereila Nature Inn our vision was one of a community of nature enthusiasts exchanging ideas, stories, tips and images in one form or another. 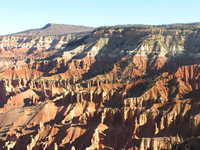 We invite you to submit nature images to this part of our monthly newsletter. 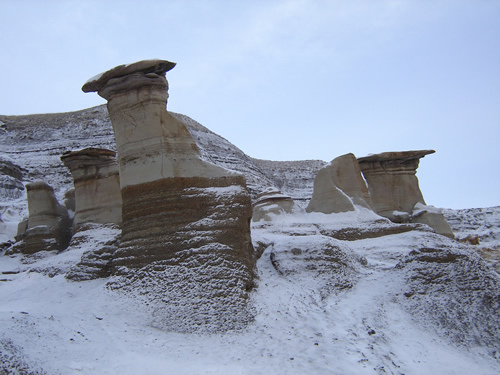 Once again we thank Dirk for his great photographic contribution of the snow frosted hoodoos near Drumheller, Alberta. We've got lots of projects under way at the Inn, including more strolls through the woods, more special places slide shows and more jigsaws to keep you entertained. Our Lagoon Trail section features several stories and photo galleries dealing with marine life and tidal pools. If you haven't visited for while, why not take a virual stroll? Just click here. 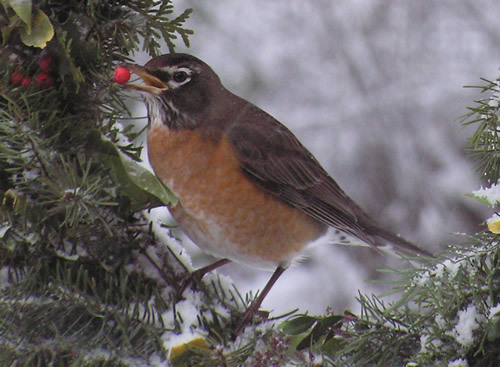 The Birder's Place - This a social network and forum just for Birders. Here you can meet other birders, exchange stories and upload and share your images. The Nature Hut - Here we invite you to join our community of nature lovers. Upload your nature images and enjoy discussions and stories of experiences and nature sightings. Click on the images to visit the two forums. As we move into year two of the Dereila Nature Inn, we invite and welcome your contributions, thoughts and comments. Please, take a moment to send us an e-mail. If you're a new subscriber to Whispers you might be interested to know that past issues are available online - simply click here. We upload the issues as new ones are released, so as you receive this edition we will be uploading December's issue. This month our wandering image takes us back to Utah with this photograph of pronghorn antelopes. It is the only animal in the world with branched horns, and also the only one to shed them like antlers. 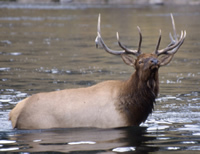 It is the fastest animal in the western hemisphere with a recorded speed of over 60 mph (100 km/hr) allowing it to escape predators such are bobcats, wolves and coyotes. 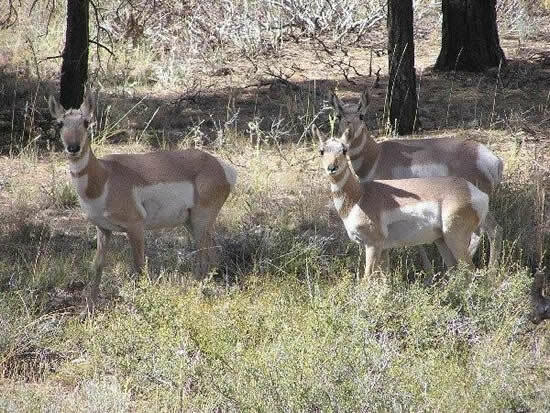 Pronghorns are even able to sustain their increible speeds for durations longer that the speedy cheetah can. They range from southern Alberta and Saskatchewan down to Mexico enjoying open grasslands and plains for safety reasons. 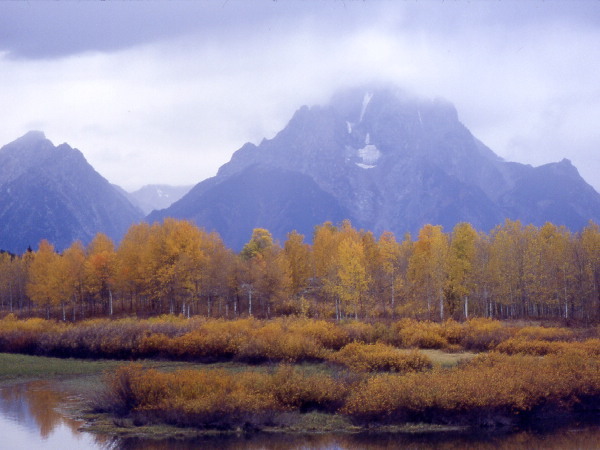 This month we travel to another corner of North America - Grand Tetons National Park. Grand Tetons National Park is often overlooked by visitors to this corner of North America as they pass by to the nearby attractions of Jackson Hole or Yellowstone National Park. 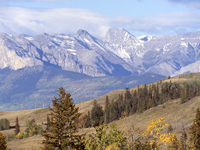 However this small gem of a park features wonderful mountain views, including some of the highest peaks in Wyoming. 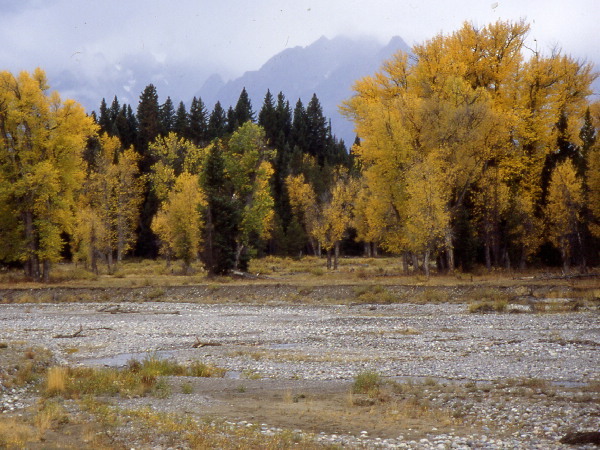 A visit in the autumn is especially rewarding with the changing colours of the cottonwoods. 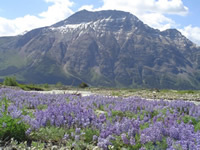 Grand Tetons is located just south of Yellowstone National Park which you can easily visit at the Inn by clicking here. Seventeen states have chosen the honeybee as their official insect. 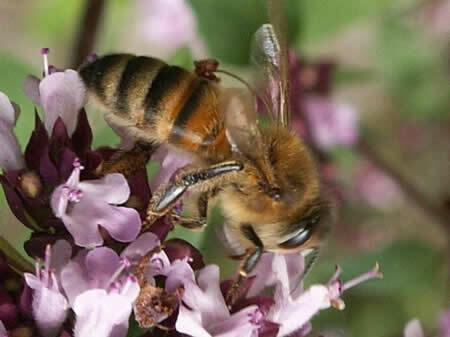 To learn more about honeybees and their relatives, visit the Inn's bug guide. You'll find some other fascinating trivia about birds in the Bird's Nest Lounge . Young boy: Look Grandpa! A flock of geese flying in a V formation. We learned about that in school. Young Boy: Yeah. Do you know why one side of the V is longer than the other side? Grandpa: Well, it probably has something to do with the pecking order of geese or maybe aerodynamics. Young boy: No. It's because there are more geese on that side. Don't forget to check out the amazon/dereila bookshop. You'll find a super selection of nature books and guides. See what's in the store for you by clicking on the image. Until next time, best wishes from the Dereila Nature Inn.